What does it take to be a fearless professional, an industry leader or an up-and-coming go-getter? 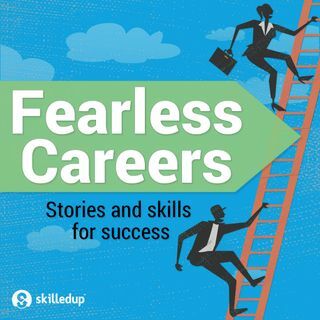 Find the answer with Fearless Careers, a daily podcast that offers inspirational stories, concrete insights and actionable advice from the very people who have succeeded at their profession. Whether you’re a self-employed freelancer, making a career change or climbing the corporate ladder, these stories will inspire you to learn new skills, gain confidence and kick-start your own fearless career. ... See More For more information visit SkilledUp.com, proud sponsor of Fearless Careers. If you enjoy The $100MBA Show, Entrepreneur on Fire, Smart Passive Income, Relaunch and Eventual Millionaire, you'll love Fearless Careers. Hosted and produced by Ander Frischer.